Beautiful Design. Robust Performance. The hybrid case keeps the ideal design of your iPhone clean. Shock resistant corners. Glass Back. Silicone edges. Three Finishes, Clear, Grey & Rose to mix and match. Wireless Ready. Charge your iPhone wirelessly with the case on. Hybrid Case. A crystal clear case with beautiful design and robust performance. 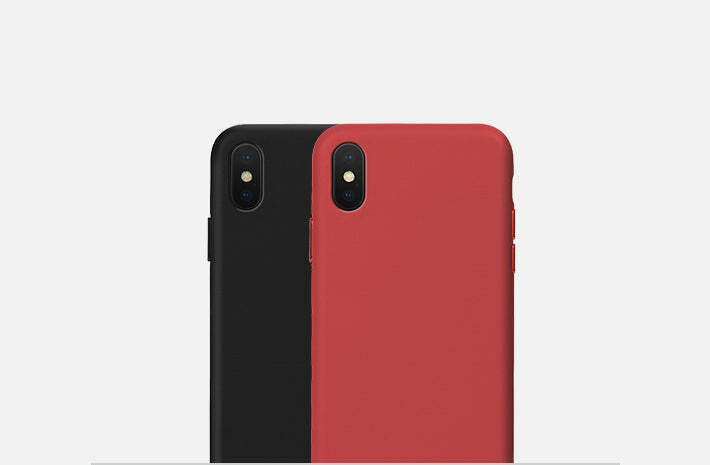 The case is crafted from the hybrid of glass at back and silicone on the edges that help to snap the case on and off easily. The air bumps on all four edges of the case absorb shock. The Hybrid cases are robust, functional and wireless ready. Beautiful Design. Robust Performance. Three Tones. Shockproof edges, hustlers, your phone now protected from the impact of the drop shocks. Crafted from the hybrid of glass on the back and silicone on the edges, Hybrid cases are one of the toughest cases; made for the ones who are always on the go. The edges of the Hybrid cases tend to get yellow with time. This is a natural process. The back of the case remains crystal clear for a long, long time. Active to perform as soon as snapped on your iPhone. Raised lip, tight grip and wireless ready. The hardshell exterior ensures the durability, the silicone edges make it easy to put on and off, and the raised buttons make sure of the excellent tactile feedback. Charge wirelessly with the case on.